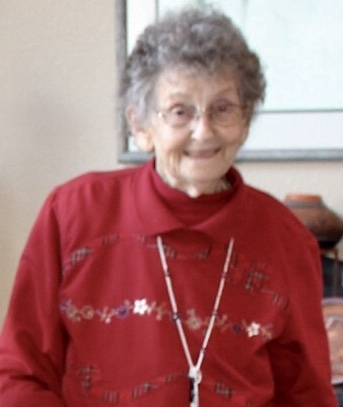 Susan A. Schrag, 98, of Boonville passed away Saturday November 17, 2018 at Riverdell Care Center in Boonville. Visitation for Susan will be 10 to 11 A.M. Wednesday November 21, 2018 at Howard Funeral Home with a funeral to follow the visitation at 11 A.M. Burial will follow in the Walnut Grove Cemetery. Susan Amanda Schrag was born November 25, 1920 in Versailles, MO., the daughter of Garth Morris and Emma Moore Morris. Susan graduated Bunceton High School. She met Irvin Schrag, they fell in love and were married in two weeks in 1942. She loved quilting, playing dominoes and cards, but her favorite past time was spending time and enjoying the companionship at the Boonslick Senior Center. Susan loved her grandkids, but when her great-great grandson was born it gave her life a new purpose. Susan was preceded in death by her parents, Garth and Emma, Brothers, Dak, Harold, and Harvey Morris, sisters, Hazel Foster, Ruby Garrison, Maude Burks and Sarah Kelley. She is survived by her sons, Lenny (Patty) Schrag and Kim Schrag, sister, Harriett Jones, and her grandchildren, Chris (Carmen) Schrag, Amy (Tom) Watring, Blake (Nathalie) Groves. She will be missed by her seven great-grandkids and one great-great grandson. Memorial contributions are suggested to the Boonslick Senior Center.